Instantly this jumpsuit feels day-time appropriate, and really easy going. Although it's a good job my shoulders are pretty flexible because the zip on this particular jumpsuit is THE most impractical zip EVER.... a two man job for anyone who doesn't do yoga! 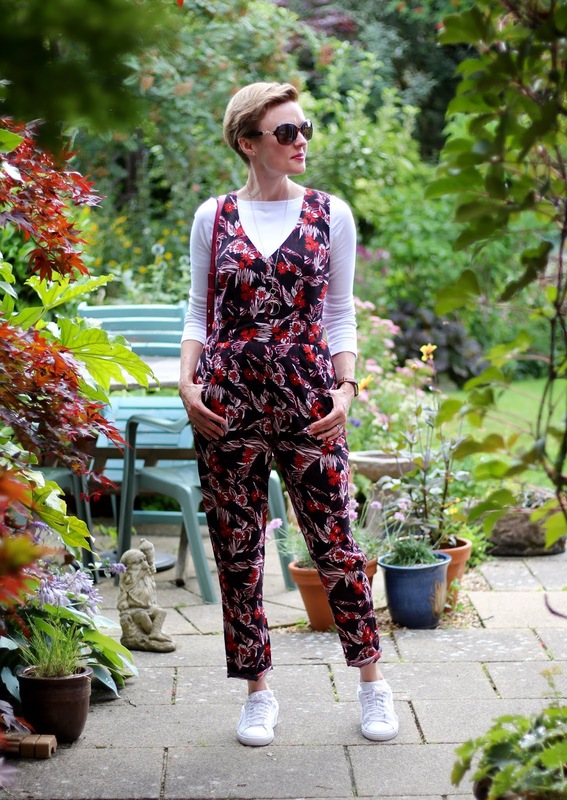 JUMPSUIT: Oasis... (found in a charity shop... probably because of the zip!) this one is pretty. BAG: French Connection... this one is nice. 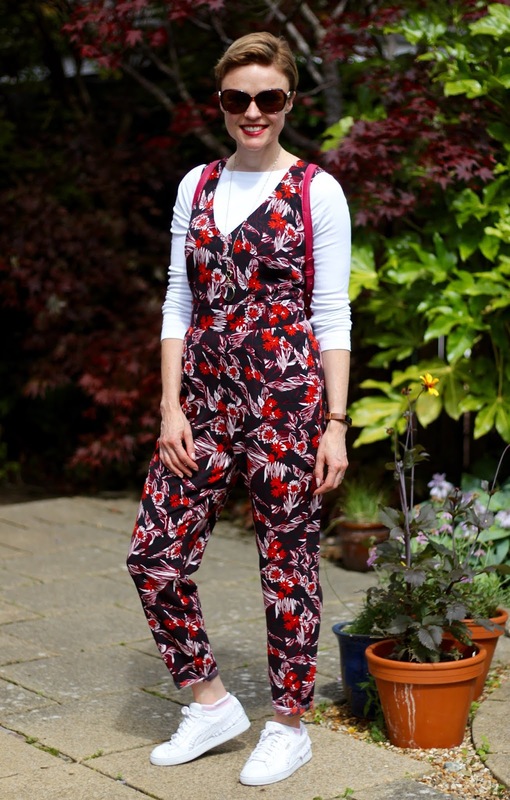 Do you own a floral (or patterned) jumpsuit? 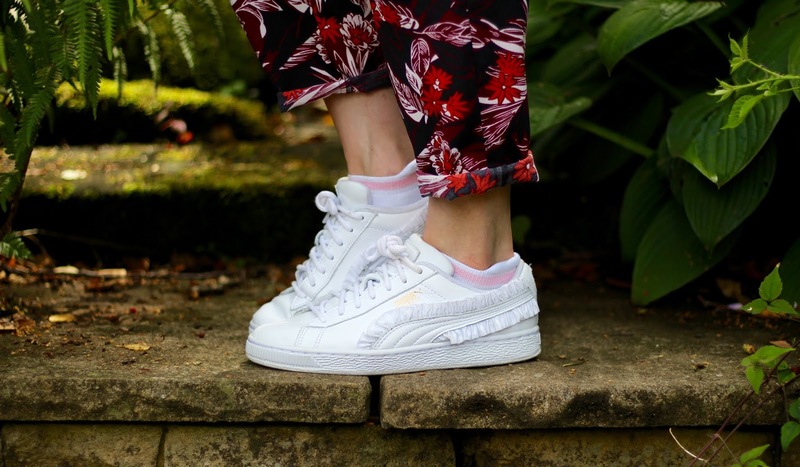 Do you wear it casually as well as dressed up? Tell me all about yours! 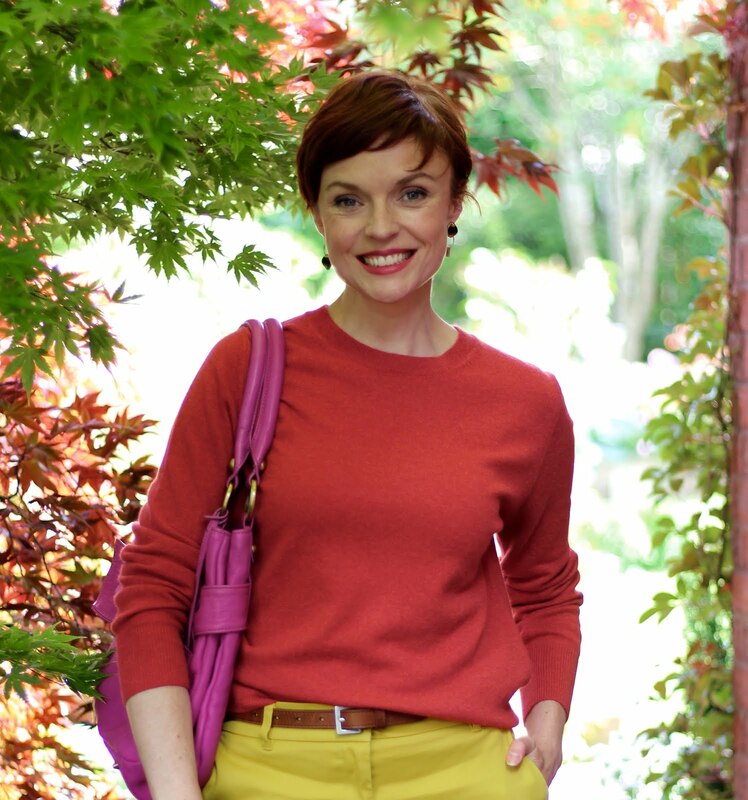 I love this easy breezy casual garb, Samantha! I'm always looking for easy layering ideas to "hijabify" things and I like the idea of wearing a white long-sleeve underneath a fun jumpsuit. I loveee your jumpsuit's fit. I used to have something like almost exactly like that in my collection but I never wore it; it was a gift from someone but it came in this tan/camel hue that's too close to my skin tone that makes me look naked when I wear it, yikes! I do have a short-sleeved floral jumpsuit but I've given it away. I can totally see you dressing up this jumpsuit magnificently for a red-hot nighttime look! 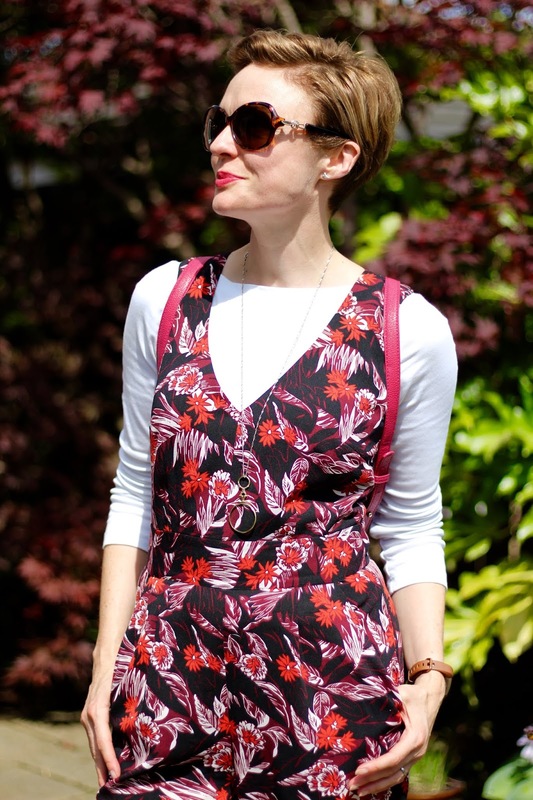 I do love a floral jumpsuit and yours looks so comfy and cute, and fits you so nicely!. You look really fabulous. I like this casual vibe! I still haven't found a flattering jumpsuit for me, but who knows!? I'm a HUGE fan of using a non-high top Converse type sneaker to add a casual or even humorous touch to any outfit. Adding a t-shirt beneath a jumpsuit is an inspiring idea that I plan to try! A jean jacket would also "casualize" the jumper for cooler weather.